The first and most important thing I will teach you. how easily achievable it is. If you have ever taken a golf lesson from two or more different professionals, I dare say you received very different forms of information and teaching. It was either a good or bad experience, you either received helpful or harmful information, worked on one or more different things, you either did or did not improve. Whatever the outcome, I would hope you now have a much clearer understanding of what it is your club head was doing at impact, what it should be doing and what you have to do to improve. If any of these three requirements are missing, then I am afraid your professional has more work to do. Teaching the game, like playing it, is not an easy task. 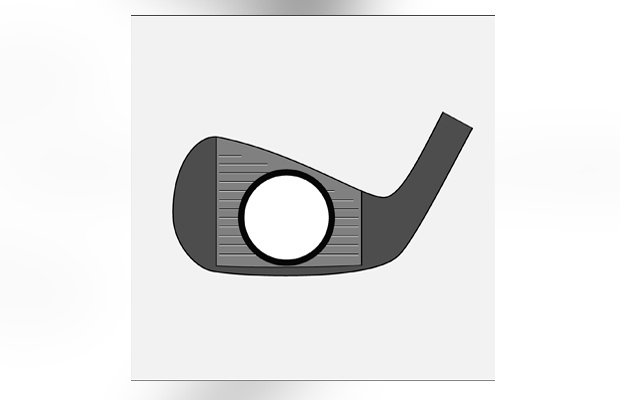 Without even touching on the many facets of playing the game well, the first and most basic skill of teaching begins with the golf swing and the challenging task of striking that tiny white ball. Where the best teachers come into their own is their ability of getting to know the pupil, probing their understanding and then communicating what works for them as an individual. Ultimately, the success of a golf swing lesson depends on the teacher’s ability to simplify the action and communicate so the pupil can digest and fully understand it. 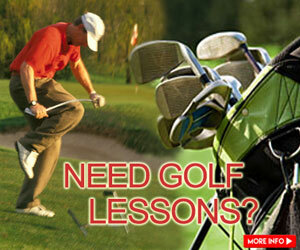 This is where so many golf lessons fall apart, and so many golfers fall out of the game! The first and most important thing I will teach you is stacked in the building blocks above. Just like the building blocks you probably threw around as a kid, I urge you to do the same here. Each one presents a connection to another and each one when stacked correctly, provides a valuable lesson towards understanding what it is we are trying to do when we swing the golf club and strike the golf ball. 1. At the top of the pile is the golf ball’s flight. Learning to control your ball is what ultimately determines your ability to play and enjoy the game. From the moment the ball is struck or not struck, it’s free to go anywhere or nowhere. 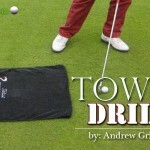 Developing knowledge of the nine basic shot shapes is the first step to controlling your own. 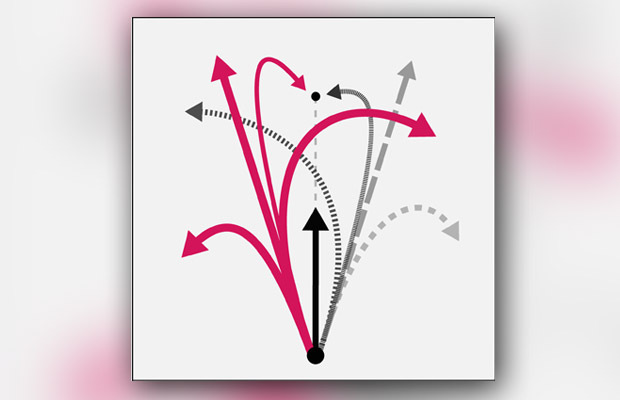 The following steps require the most attention as these building blocks interact and support one another to successfully control impact and the resulting ball flight. 2. Directly influencing the flight of your ball is the alignment of the club face as it strikes the ball at the point of impact. This is where the greatest influence on the ball’s flight is born. 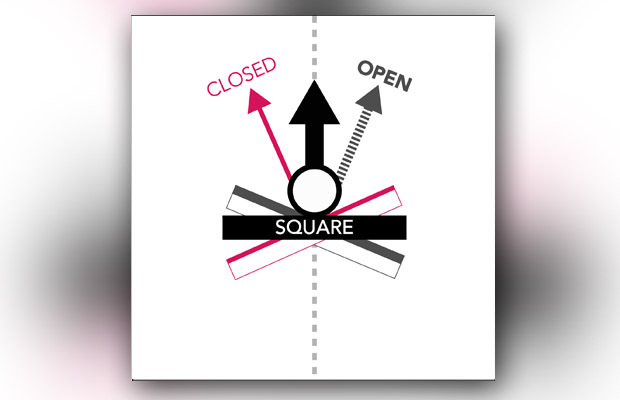 Your club face will either aim to the right of your target (OPEN), to the left (CLOSED) or directly along your target line (SQUARE) when it strikes the ball. Which ever direction your ball starts its flight, you can be certain that is where your club face was aiming at the point of impact. The club face alignment has the greatest influence over the golf ball’s initial starting direction. 3. When the golf ball curves left or right in flight, you are seeing the influence of the clubhead’s path or swing direction as is passes through the ball at impact. 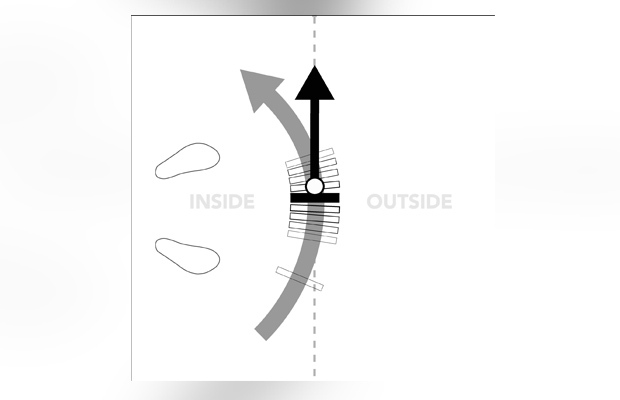 The club head could be swinging on a path from inside to outside the target line, from outside to inside the target line or straight through. The amount of left or right curvature created on the ball’s flight is determined by the varying degree of alignment between the club face aim and swing path as they interact with the ball at impact. For shots that fly straight with zero curvature, the combination of club face aim and swing path is a perfect match. 4. 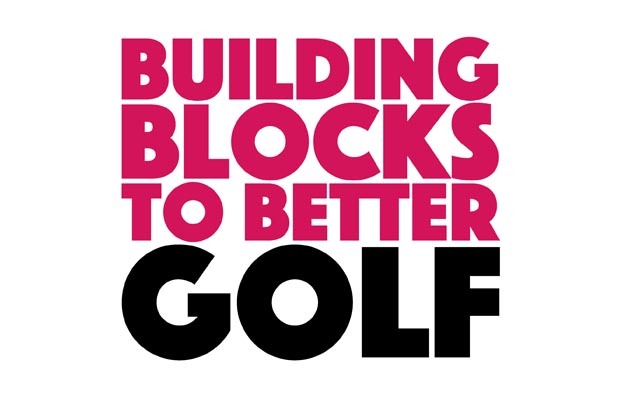 The fourth building block entails the clubhead’s angle of approach into the ball at impact. This will either be too steep, too shallow or correct for the club being used. Through a full set of clubs, the correct angle of approach for each will vary from a steep angle for the shortest clubs all the way to an extremely shallow angle for the longest clubs. 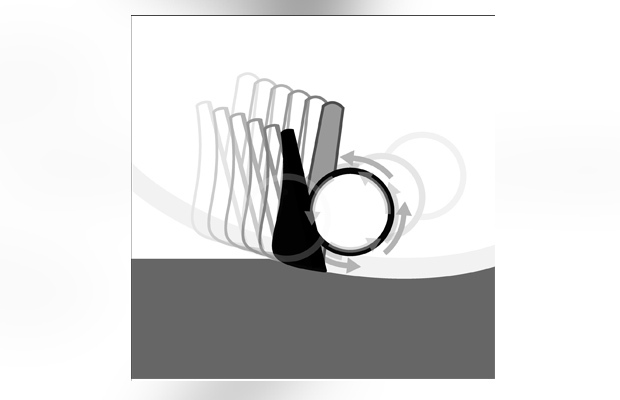 The club head’s angle of approach directly affects the degree of spin placed on the golf ball. 5. Greatly influenced by the club head’s angle of approach is the clubhead’s centeredness of strike with the golf ball upon impact. 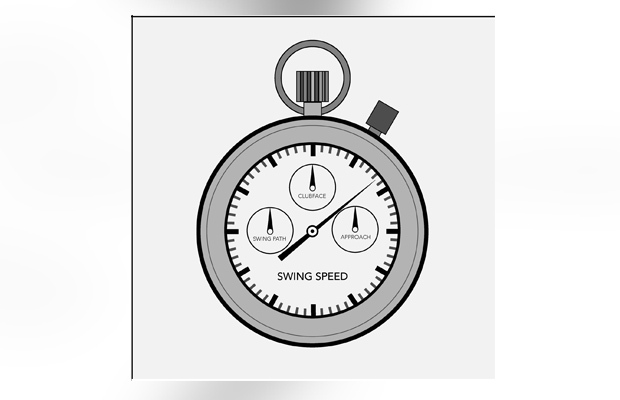 When the ball is struck from various different positions on the clubface, varying degrees of spin is imparted on the ball causing an inconsistent ball flight. 6. And finally, the building block at the center of them all, is swing speed. This vital element takes its pace from those surrounding it. Maximum club head speed and the transfer of that speed into the golf ball can only be achieved when the clubface is square, the swing path matches the clubface, the angle of approach is correct for the club being used and the ball is struck in the center of the clubface. 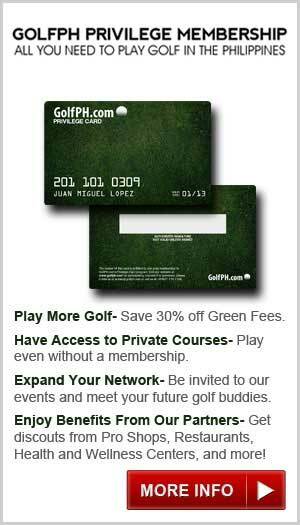 If you have been playing golf for many years, taken lessons or picked up a good instruction book, then this information should be nothing new. Some will see it as basic information, only relevant for the new golfer, but I am afraid this is where most golfers go wrong. This information is the most timeless of all in golf, it is the only certainty we as golf professionals hold as gospel. 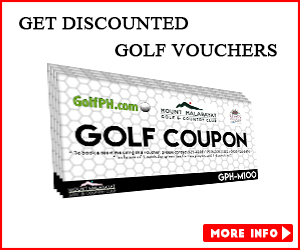 Now you may be asking, ‘How is this going to help me become a better golfer? I have to swing the golf club up and down while turning around, this information doesn’t help much with that.’ This is where most golfers get lost, where bad advice and teaching becomes over-complicated opinion, full of technical terms and confusing swing thoughts. Well, this is where a quality teacher plays his or her part, the very best keep it simple and never stray far from the building blocks before you. Call them simple, call them basic, but please learn to respect and play with them. 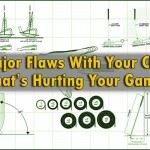 Learning to strike a golf ball is about controlling these building blocks. Each one is directly influenced by the other, and all come under the same controlling factors that begin with the positions we create in our address. How you setup to the golf ball dictates how you move your body, how you swing your arms up and down, if you are able to turn, shift some weight and wind it all out. If this all sounds too simple to be true, then I have achieved my first goal, you are beginning to appreciate how possible it is to improve at this game. Because you can and it is far more simple than most like to appreciate. Through your hands we have control of your clubface alignment at impact. If we change your ball position relative to your body at address, we influence where your shoulders align, which in turn dictates the direction of the club’s path through impact. We could just as easily add more or less bend towards the ball from your hips, moving weight from or more into your heels in order to create a steeper or shallower angle of approach. If your strike is slightly off, we can work on swing path and angle of approach. Finding the centre spot is never more than a subtle adjustment away! I am always looking at your golf ball’s flight and listening for the strike, they are telling me what is happening at impact, and from impact I know precisely what to adjust in your address position. Next time you take a lesson, remember to go in search of three things; find out what it is you are doing, not in your swing, but most importantly at the point of impact. What is your clubface doing when it strikes the ball? What are your building blocks saying? And what do you need to do in order to improve them? This information and your understanding of it is essential if any kind of improvement is to be achieved. 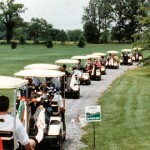 So next time you head to the course, forget about your swing and start focusing on your golf ball’s flight. 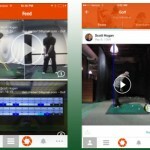 See how it flies, record what you see and note what you feel, then play with your address position and see how easily you can begin to take control of your game. and the United States. He presents over 25 years experience playing and 15 years teaching the game to golfers of all skill levels, young and old, male and female. 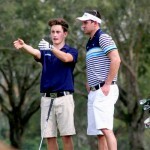 Paul is now residing in Manila where he offers a diverse array of lesson packages, coaching clinics and individually tailored golf learning experiences. For further information feel free to drop him a line, send him a message or just follow his thoughts, he’s always here to help.